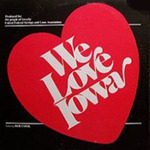 Cook, Bob and Pundzak, Joe, "We Love Iowa" (1979). We Love Iowa Audio Collection. 4.